Warren Schueller (on the left in the purple t-shirt) worked for 28 years as a chemistry teacher in Staten Island, New York. But at the age of 57 he began working with a group called Careers Through Culinary Arts (CCAP) and transitioned to being a culinary instructor. He trained a wide range of schools including the French Culinary Institute (New York City), Culinary Institute of America, Johnson and Wales and the New York Restaurant School and helped prepare New York City high school students for culinary careers. He retired in 2012. But you’ll find him cooking every Tuesday at the St. Marks Center for Community Renewal in Keansburg, New Jersey. At this area “soup kitchen,” Warren and his team are producing upscale meals for 60+ hungry, “down on their luck” individuals each week. 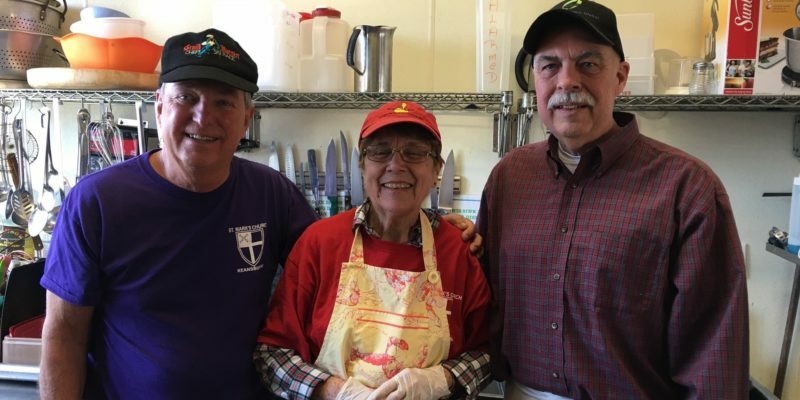 Earlier this year the St. Mark’s Center for Community Renewal embarked on a $50,000 campaign to renovate the kitchen. You can donate to the program by sending your check to Deacon Rose Broderick, St. Mark’s Center for Community Renewal, 247 Carr Avenue, Keansburg, NJ 07734. This week’s post has the added benefit of an accompanying video for the podcast by award-winning filmmaker Paul Kaplan. Today’s episode focuses on someone I’ve known for a long time. Don Hessemer and I were part of a Saturday morning running group when I lived in Central New Jersey. He had a 38-year career as an environmental consultant in New York and New Jersey. But in 2018, Don decided it was time for a change. So at the age of 61, a time when many people are counting the days to retirement, Don decided to switch careers and become a hospice chaplain. Everyday he works with patients and their families as they approach the end of life. When I read Don’s announcement about this new position on Facebook, I remember thinking to myself, “What an awful and difficult job.” But Don doesn’t think of it awful or difficult. And in some ways, he doesn’t even think of it as a job. It took him nearly 40 years but he feels that he has found his true calling. Today, Don works 40 hours a week helping patients and families negotiate difficult, “end of life” challenges. Don’s role as a deacon allowed him to officiate at his daughter Brittany’s wedding. 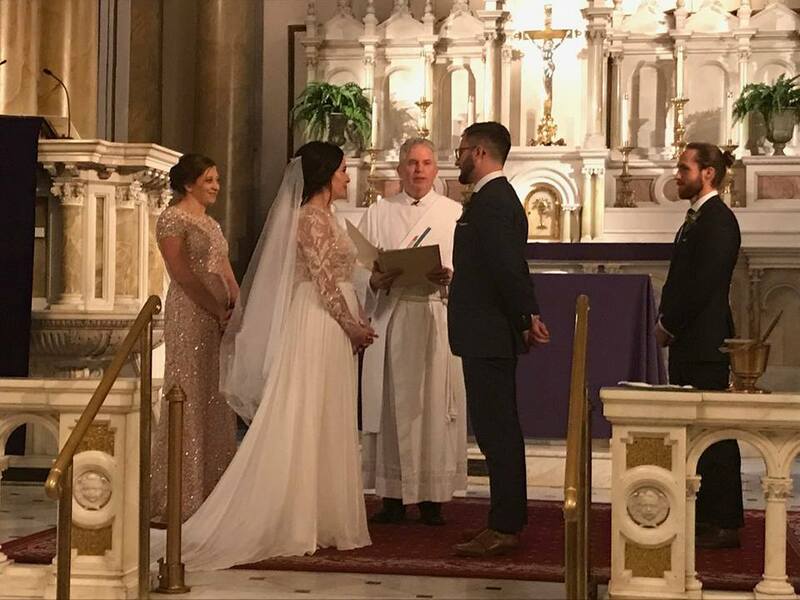 He walked her down the aisle in a three-piece suit, made a “superman change” into his vestments in the sacristy and then conducted the ceremony. In the hospitality industry, Chip Conley is a legend. Back in 1987, he created Joie de Vivre, that grew to 52 hotels in California and set off a boutique hotel craze. But after 24 years of managing the company, he decided to retire and pursue other ventures. Writing. Speaking. He was on the board of the Burning Man Festival. He created a new website called Fest 300 which celebrated the best festivals in the world. He kept busy. So what exactly is a modern elder? According to Chip it is someone who can “marry an air of gravitas with a spirit of humility.” In a business setting, that means serving as a sage counselor and learning like a wet-behind-the-ears intern at the same time. In today’s episode, we’ll also meet Sarah Goodnow Berry, Airbnb’s Global Director of Brand. She is one of the millennials running Airbnb and one of Chip’s mentees. 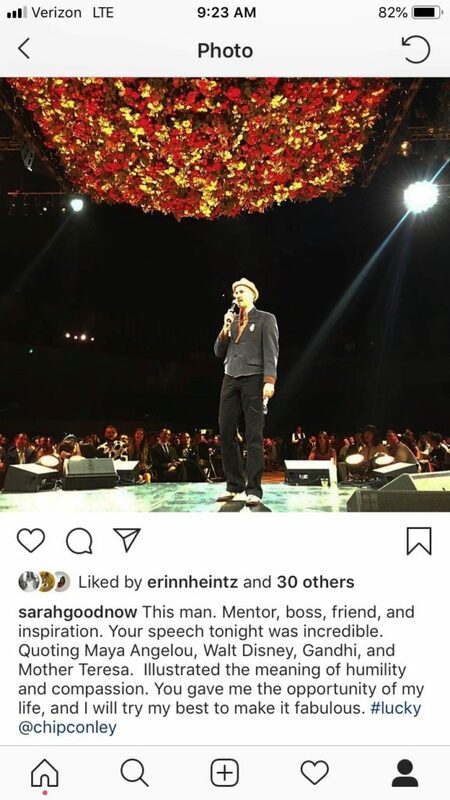 Below is a photo Sarah took of Chip delivering his “farewell address” to the entire Airbnb staff in 2016 and the emotional post which she uploaded to instagram. 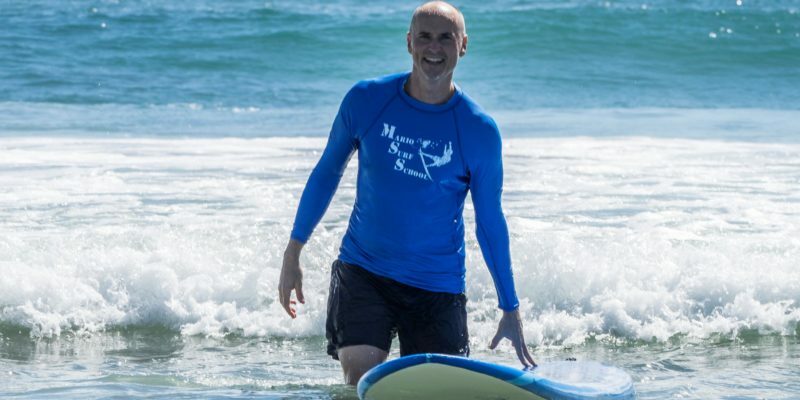 Special thanks to Marci Alboher of Encore.org for connecting me with Chip Conley. It’s good to have friends in high places. 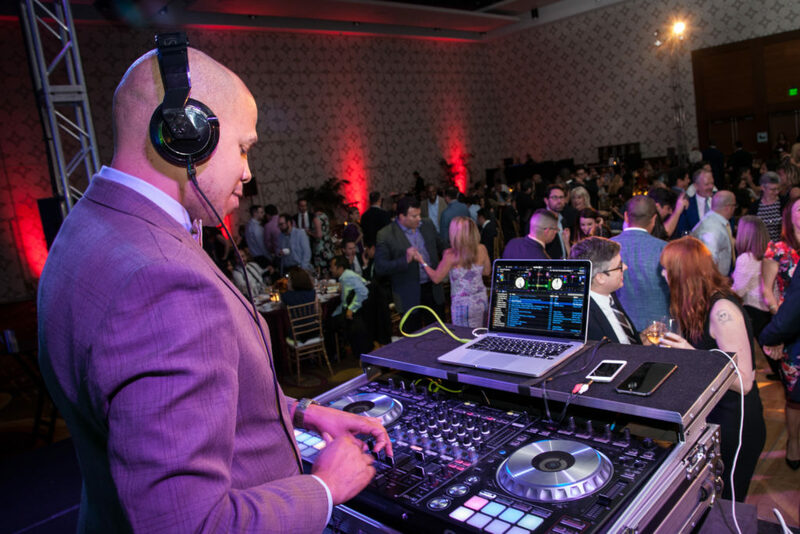 After a twenty-year career in hospitality sales and management at Marriott, Amani Roberts decided to turn his weekend passion as a disc jockey playing music at clubs and special events into a full-time career. Today, he has made it as a sought-after DJ, teacher of aspiring DJs, writer and podcast creator. A combination of dedication and education fueled his success over the past sevens years. He reports that he is working harder than ever but he’s happier than ever too. Amani and I met in a study room at the public library in Manhattan Beach, California. 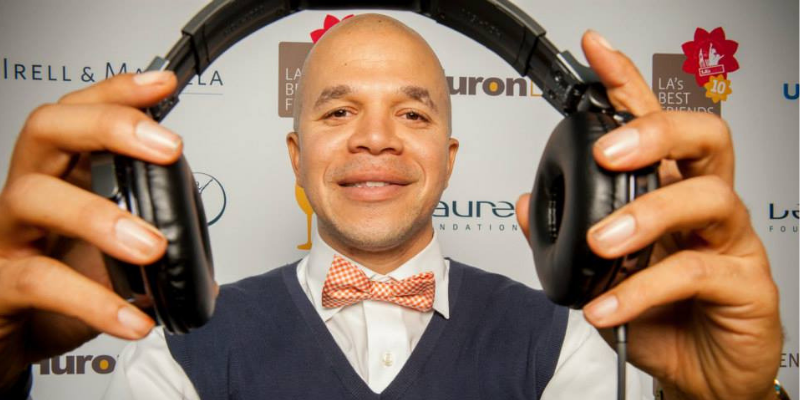 Tell learn more about Amani Roberts, check out his website which includes The Amani Experience podcast. Special thanks to Alex Petrarca, Booking Agent at Interview Connections, for suggesting Amani as a profile for Second Act Stories. This episode takes us to Richmond, Virginia for an interview with Lynne Tickle. Lynne spent most of her adult life in the banking industry working up to a position as a senior vice president. 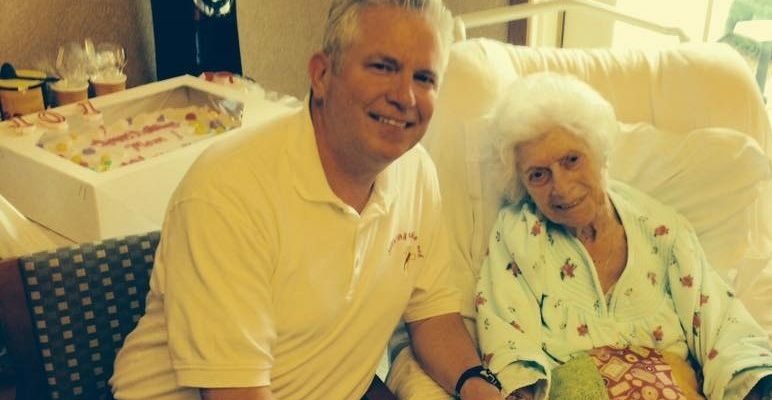 But in December of 2015, she learned that her neighbor was dying. And that friend shared a final wish. That request turned out to be a considerable challenge. The Great Recession of 2008/2009 had crippled her neighbor’s finances. 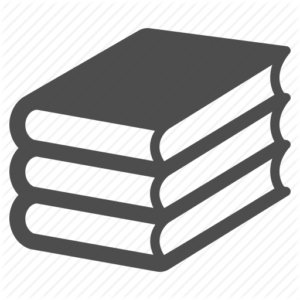 So Lynne helped Larry restructure the debt on his house, obtain financing for badly-needed home repairs, find a real estate agent to help sell his home, sell antiques online, manage yard sales and document gifts to charity. In the end, she helped Larry sell his 3,500 square foot house and downsize to a 1,200 square foot home that was more financially viable. In the process, Lynne discovered a new passion: helping people like Larry get their lives together. 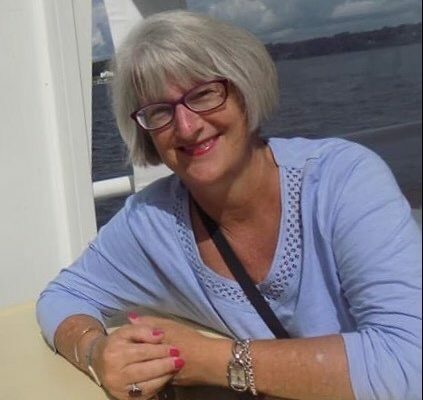 Armed with this new experience, Lynne left the banking industry and launched a new company called Concierge on Call. The company focuses on helping individuals downsize and get back on their feet. Special thanks to Ray McAllister and the team at Boomer magazine for connecting me to Lynne Tickle. Here’s a link to Ray’s earlier article about Lynne. For today’s episode, I traveled to Frisco, Texas and met with Steve Paz. Since he was a boy, Steve always wanted to be a police officer and he got his chance initially as a military police officer in the Marines. He then spent twelve years with the Dallas Police Department, one of the finest police forces in the country. He was on the front lines of crack cocaine epidemic of the 1990s and encountered a number of dangerous situations which he describes in the podcast. In 2004, a family friend offered him an excellent corporate position – a role that he admits he was completely unqualified for at the time. He took the job which paid more money, dramatically cut his commute and offered his wife and family tremendous piece of mind. But he also felt a loss of purpose in no longer serving among America’s finest. We talk with Steve (as well as his wife Judy) about his decision. Special thanks to my friend Dean Barber for suggesting this episode. 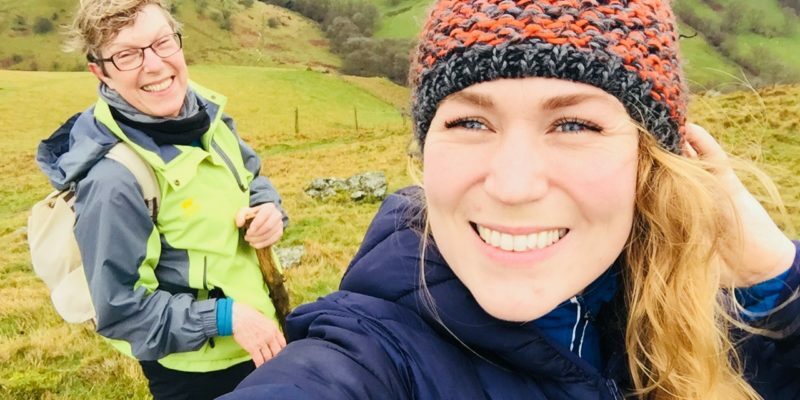 This episode takes us to the United Kingdom for an interview with Lizzie Fouracre, a 33-year-old Brit with a sparking personality. Lizzie was living the dream helping to manage a fast-growing technology company in London started by her brother Tim. And while the pace of a technology start-up was exhilarating, over time she found herself wanting more from life. So she quit, packed up a tent and sleeping bag and decided take a six-week hike around Great Britain. And in a eureka moment at the top of a mountain in Wales, she decided to create a new venture called The Humble Retreat. She brought on a partner — her mother Mandy Fouracre — to help manage this (the two are pictured above). Eighteen months later, this mother-daughter team couldn’t be happier working together. Click here to learn more about The Humble Retreat. Special thanks to Miriam Christie of Careershifters for connecting me with Lizzie. “A force of nature.” That’s how one person described Judy Cockerton. 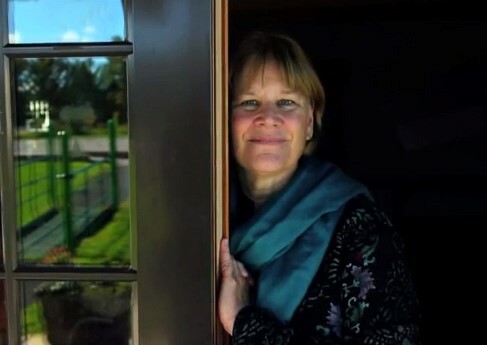 Judy’s life changed dramatically when she became a foster parent at the age of 48. She and her husband Arthur took on the responsibility of raising two sisters aged five months and seventeen months – along with their own two kids who were 12 and 18 at the time. And for the first time she saw how flawed the child welfare system was in her home state of Massachusetts — and in America. She developed a really simple idea to improve the system. Let’s bring together adoptive families and their children with a group of caring elders. And let’s have them live together in the same neighborhood. So she created an organization called The Treehouse Foundation. She worked closely with the Massachusetts Department of Children and Families. She found a developer and helped secure $15 million in government funding. And she focused on building a model community that supports adoptive families. I traveled to Easthampton, Massachusetts and spent a day with Judy Cockerton and the Treehouse Community of 100+ people there. It’s an amazing story. Click here to learn more about the Treehouse Foundation. Ta’u Pupu’a came to the United States from Kingdom of Tonga at the age of five. He grew up in a home of modest means in Salt Lake City, Utah and started playing football at the age of ten. Legendary football coach Bill Belichick discovered him while he was playing for Weber State University and he joined the Cleveland Browns as a defensive lineman. But in his second season, a nasty injury ended his NFL career. Despite almost no formal musical training, he decided to follow a new dream to become a professional opera singer. After struggling in New York City for five years, Ta’u met opera superstar Kiri Te Kanawa at a book signing at the gift shop of The Metropolitan Opera. And she helped him earn a scholarship to The Julliard School, America’s most prestigious music conservatory. 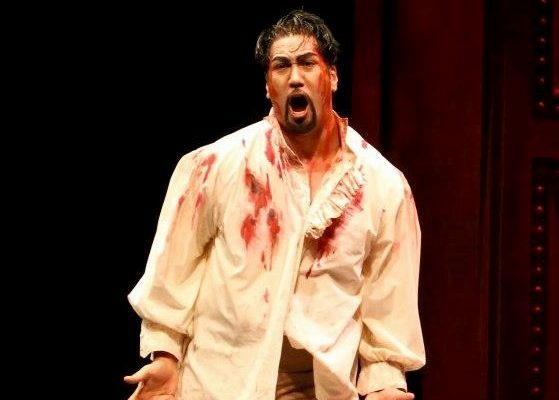 In the spirit of the opera world, we’re telling Ta’u’s story in four short acts. To learn more about Ta’u Pupu’a and listen to some of his recordings, here’s a link to his website. 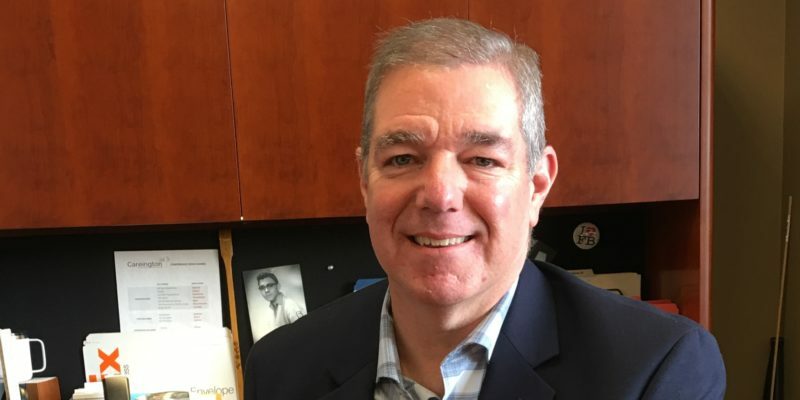 Joe Tedino had a long career as a journalist and public relations executive. But tennis was always his passion. 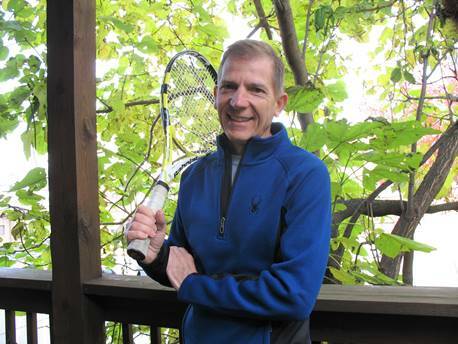 So when he finally opted to retire from a senior position with Boeing, he decided to invest the time to get certified as a tennis professional. And that helped him land a position as Assistant Coach at St. Ignatius College Prep, a Jesuit high school in the heart of Chicago. He’s been working with the boys and girls teams there for the past year and he couldn’t be happier with the change. Second Act Stories is a podcast sharing stories of people who have made major career changes to pursue more rewarding lives in a second act. The stories are in their own words and the words of friends and family that helped them find a new path.